There’s no shortage of photos and videos showing celebrities lounging on yachts and playing with their kids at picturesque beaches in exotic locations. In winter they ski in posh resorts, and in summer they jet to Hawaii, the Caribbean and Europe. But you don’t have to be rich and famous to party family-style like celebrities. These 6 star-studded family-friendly vacation spots offer lodging and family activities that fit most budgets. Maui’s majestic beaches not only attract famous moms like Britney Spears, but also stars like Woody Harrelson and Oprah who buy homes in secluded areas. But Maui offers a piece of paradise for all budgets. Mid-range Starwood has three oceanfront properties in famous Ka’anapali Beach. Families love Westin Maui Resort & Spa’s huge Aquatic Playground with five swimming pools, two water slides, waterfalls and a swim-through grotto. Get the star treatment with Westin’s "Heavenly View Sunset Dinner" featuring a private family dinner with butler service. Nearby, Westin Ka’anapali Ocean Villas have kitchens, washers/dryers and a lagoon with heated pools. The Sheraton Maui Resort & Spa has 20 ohana suites and 10 junior suites. Hula lessons are among cultural activities included in resort fee. Celebrity sightings at this chic mountain resort include Mariah Carey, Goldie Hawn and Muse singer Matthew Bellamy. But beyond the resort’s legendary shops and snowy slopes are year-round, family-friendly activities, such as biking, hiking, rafting, horseback riding and camping. Check out the pool and waterslide at the Aspen Recreation Center or whitewater rafting at a river. Condos, lodges and hotels are suitable for all budgets. From guest rooms to posh digs, the Bahamas resort offers an array of lodging throughout the grounds. 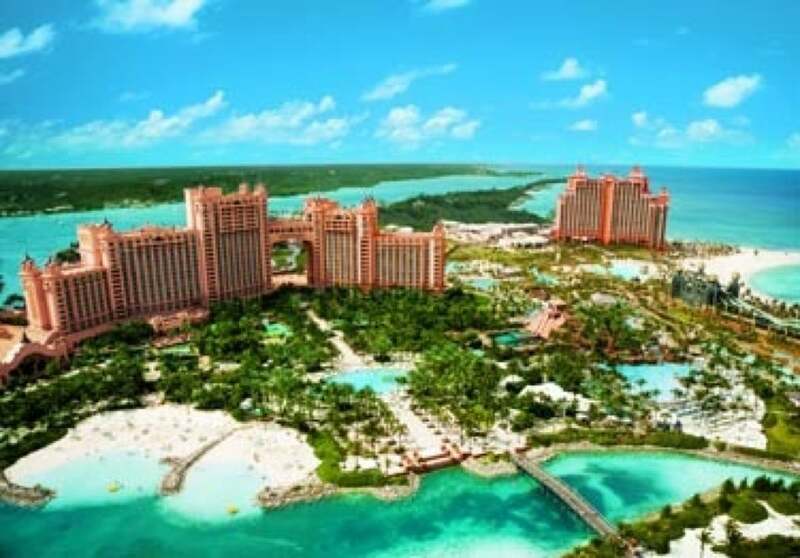 No matter your choice, everyone has access to the resort’s 141-acre water park, Dolphin Cay, marine habitat, pristine beaches and free movies. Ditto for dining. Find everything from beach shacks to gourmet restaurants. Kristen Bell and the Jonas Brothers have been spotted rubbing noses with dolphins and sea lions in Dolphin Cay. Situated at the tip of Mexico’s Baja peninsula, Cabo attracts a variety of visitors including celebrities, college students on spring break and multi-generational families seeking sunshine and beaches. Whale watching, fishing, snorkeling and kayaking make this a fun place to visit with kids. There are plenty of resorts that cater to families. Keep your eyes open for Jennifer Aniston, Sean Penn and Adam Sandler. Steven Spielberg is among the many luminaries that have vacation homes or dock their mega-size yachts along Millionaire’s Row. Get a view of the mansions and ultra-fancy yachts on a narrated water taxi tour with unlimited daylong boarding. Nearby, trendy Las Olas Boulevard has chic shops and restaurants. For family digs, feel pampered at Harbor Beach Marriott, featuring a children’s program, pristine beach, onsite water sports, spa and the upscale 3030 Ocean restaurant. Ron Howard and Sandra Bullock are among stars that allegedly hole up at this luxury property located on a wildlife sanctuary above the town of Jackson. Big draws are the spectacular views of the Teton Mountain Range, winter skiing, horseback riding, fishing and much more. Splurge on a mountain villa or check into a condo or inn room.